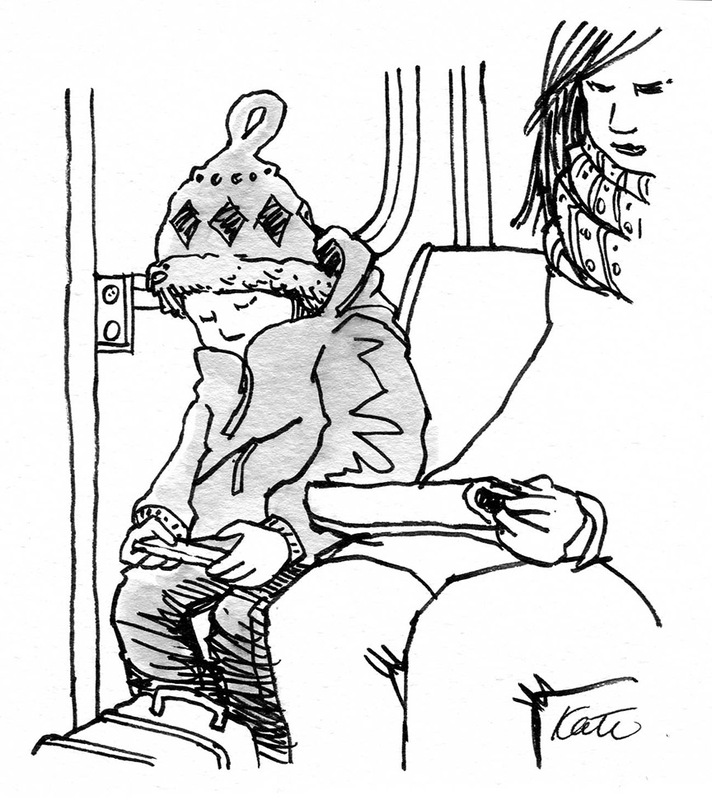 I have been both drawing and riding the TTC all my life, so it was only natural to combine the two. Carrying my sketchbook wherever I go, I enjoy drawing folks on buses and subway. Materials: watercolour paper or Moleskine, pencil, pens and markers. Not everyone can pull off a fur trapper hat. This guy totally rocks it. He had style so I drew him.